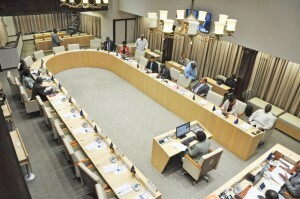 WILLEMSTAD - The unions do not accept that they were not approached for the indexation of salaries. This is according to Soraida Cicilia, chairwoman of the Central Committee of Trade Unions yesterday during the parliamentary debate on this topic. She warns that she does not know what will happen if the government does not comply with the promised made to the civil servants. “Everything is possible,” the union leader warns the Members of Parliament. The budget for next year is 3.7 million guilders for the indexation of public sector wages. That equates to a wage increase of one percent for the civil servants. Not fair, according to the chairman, the amount represents one percent of the increase in the cost of living whereas, according to Cicilia, in reality, the living expenses have gone up 2.1 percent. Parliament will continue with their debate on this topic on a later date.